Editor’s Note: As part of a series of ending the stigma of mental illness, we have conducted interviews with the Close Family to help educate ourselves and our readers about the importance of understanding what mental illness is. We are also starting a dialogue so other families can openly share about what seems to be a difficult topic to bring up. At Conscious Magazine, we are taking a moment to talk about schizophrenia. 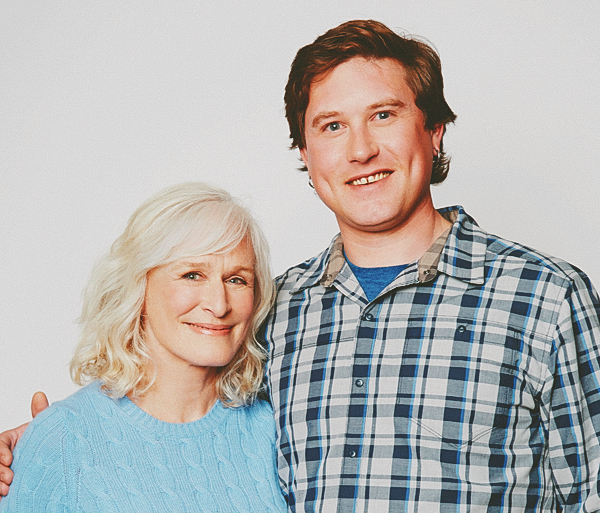 With the help of Calen Close of Bring Change 2 Mind and nephew to actress, Glenn Close, he opens up to Conscious about his real life struggle with schizophrenia and his road to recovery. Related: Conscious talks to Glenn Close who is leading the conversation to end the stigma of mental illness. Q | Tell me what schizophrenia means to you? Did you have dark days in your life? What did you do to help your situation? First, how do you define it? Schizophrenia is a thought disorder. It’s really just a series of synapsis in the brain that misfire. It’s a real mystery. People with schizophrenia struggle to make sense of the world and make sense in the world, and for whatever reason, it becomes difficult to stick to a common reality. Q | What is the most common misconception others have about mental illness? That the people who have it are unpredictable, violent, and scary. The people with the illness are more scared of everyone else; that was my experience. It was very fear driven. The problem is people who are suffering (for a lack of a better word), they don’t have answers either. It’s kind of a mute point, but it shouldn’t be. Q | What did you go through personally? I had a lot of fear, as if I was constantly in the fight or flight response. Things that I would perceive (especially in social situations), would trigger a response to become paranoid about what was actually happening. Paranoia is another aspect that is really hard to deal with. It was like my imagination didn’t know where to draw the line. It was a free association of piecing together these truths to the world that I understood, but at the same time, it was based on obscure combinations of free associations of how it was for me: building up these realities, delusional thinking, and things basically my imagination didn’t know what was real and what wasn’t. Q | Does the experience last a long time? For me, ages 15 to 17. I had no idea what was going on. I developed a strong paranoia and it was a downward spiral that took about a year until anyone realized. Looking back I was believing these things, and it was ridiculous. It took a long time to piece back together a mind that I could fall back on without falling into depression and paranoia. Ages 18 -19 was rock-bottom for me. I was in McLean Hospital, and it was a terrible and really trying time. Everyday was just a precarious balance on a precipice, and I would constantly fall off of that and experience this terrible depression and feel horrible. Q | What type of thoughts were you having? I would make a breakthrough and realize no, this is true. I would hold onto that concept and try to conceptualize that feeling or thoughts, and of course, I was concentrating so hard on holding onto that it would sort of disintegrate and I would be dangling in space. The thoughts I was having were really uncomfortable. It just made me feel like crap. Q | At what point did you make the breakthrough? I would have moments of clarity the first few moments of breaking through, but they would go away. Slowly, those moments of clarity got longer and longer, and I got more comfortable and the moments flowed together. Today, I feel better than I’ve ever felt. I’m pretty clear all day. The million dollar question is, “How can we recognize this in someone, so we can go up and say, are you okay?” There needs to be a cooperation of the person going through and someone who wants to help is not always possible. Those willing to help want to understand and make them feel better. At Conscious, we are inspired by remarkable people, and so we set out to tell stories that highlight real human interactions and human dignity. You can read more stories like this when you pick up your copy of Conscious Magazine. 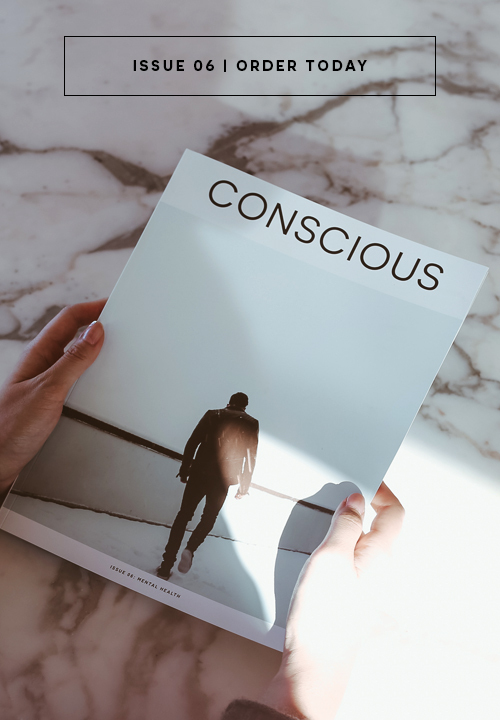 Subscribe today via our Conscious Shop and sign-up for the Conscious weekly newsletter.